This double issue honours one of North America’s leading historical geographers, Cole Harris, and his award-winning book Making Native Space: Colonialism, Resistance, and Reserves in British Columbia. It explores the ways that colonial discourse and the Western World have impacted First Nations and their processes of making space in BC. Dan Clayton teachers geography at the University of St. Andrews, Scotland and is on the Editorial Board of BC Studies. He is the author of Islands of Truth: The Imperial Fashioning of Vancouver Island (Vancouver: UBC Press, 2000), and is currently working on a book entitled Colonialism’s Geographies (Routledge). Jo-Anne Fiske earned her PhD in Anthropology at the University of British Columbia. She is currently Professor of Women’s Studies and First Nations Studies at University of Northern British Columbia. For more than twenty years she has conducted research with First Nations in British Columbia addressing a range of questions regarding aboriginal rights, governance, gender relations, customary law and justice, and social policy. Her work appears in a number of academic journals including Atlantis, BC Studies, Culture, Ethnohistory, Feminist Studies, and the Journal of Legal Pluralism and Folk Law and in numerous anthologies. She is author of Cis Dideen Kat: When the Plumes Rise, The Way of the Lake Babine Nation. Hamar Foster teaches law and legal history at the University of Victoria. His research and writing has focussed on the legal history of the Canadian North and West, Aboriginal rights and title, and comparative United States/Canadian criminal law. Gordon Gibson is Senior Fellow in Canadian Studies at the Fraser Institute, Vancouver. He writes on federalism, governance and aboriginal issues. His latest publication (as Editor and contributor) is “Fixing Canadian Democracy”, Fraser Institute, 2003. Alan Grove is a legal historian employed by the law firm of Woodward and Company. His research and writing has focussed on the legal history of the Pacific Northwest, the Yukon, and Aboriginal Rights and Title. Cole Harris is an emeritus professor of geography at the University of British Columbia and the author of many books and articles on early Canada, among them The Resettlement of British Columbia: essays on Colonialism and Geographical Change (1997) and Making Native Space: Colonialism Resistance and Reserves in British Columbia (2002), both published by UBC Press. Tom Hutton is an associate professor in the School of Community and Regional planning at the University of British Columbia. His research and teaching interests emphasize policy implications associated with fundamental or “structural; change at the urban and regional level, both in advanced and developing societies. Dr. Hutton’s current research activity includes the role of services in urban change within the Asia-Pacific region, and the socioeconomic, spacial, and environmental implications of the “New Economy” of the metropolitan inner city. Susan Marsden is a curator of the Museum of Northern British Columbia. She has presented several papers on Northwest Coast oral history and archaeology. Her published articles include “Adawx, Spanaxnox, and the Geopolitics of the Tsimshian” (2003), “The Tsimshian, the Hudson’s Bay Company, and the Geopolitics of the Northwest Coast Fur Trade” (with Robert Galois) (1995), and “Defending the Mouth of the Skeena, Perspectives on Tsimshian Tlingit Relations” (2000). She is co-author of the book Tribal Boundaries in the Nass Watershed (1998). Andrew Martindale is an Assistant Professor in the Department of Anthropology at McMaster University. His current research investigates the nature and consequences of the contact relationship between Tsimshian and European people during the 18th-20th centuries. 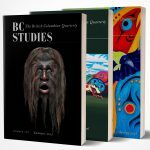 The research includes a comparison of data from documentary sources, archaeological sites, and indigenous oral traditions some of which will be published in upcoming volumes from UBC Press and International Monographs in Prehistory. Steve Roe teaches English at Northern Lights College and is a co-editor of Designs for Disciplines: An Introduction to Academic Writing (Canadian Scholars’ Press, 2003). Among the contributing authors, Raffaella Loro currently resides in northern British Columbia and is completing a double major in English and History. She intends to pursue a career in education and writing. Julie Hindbo is a surface land representative in northeastern British Columbia and northwestern Alberta. Julie works with First Nations and local communities to identify and mitigate land-use concerns associated with oil and gas development. Wendy Wickwire teaches in the Department of History and School of Environmental Studies at the University of Victoria. Recent publications include “Beyond Boas? Re-assessing the Contribution of ‘Informant’ and ‘Research assistant,’ James A. Teit,” in Laurel Kendall and Igor Krupnik, eds., Reconstructing Cultures Then and Now: The Jesup North Pacific Expedition, (Smithsonian Institute, 2003) and “Prophecy at Lytton,” in Brian Swann (ed. ), Voices from Four Directions: Contemporary Translations of the Native Literatures of North America (University of Nebraska Press, forthcoming).